Scott sent in this great picture of his Bentley Turbo R in a special place. He was returning from a local RROC meeting. My guess was that Bentley Spotting was a topic of conversation! 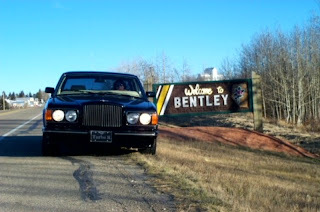 Lake Louise is an amazing place in Alberta that I certainly have enjoyed, but I did not know that there was a Bentley in Alberta.